Marines are a different breed altogether, and when they first transition into the 'civilian world' they find themselves looking for that camaraderie they were accustomed to every day for however long they were in. Marines have always stuck together, but they tend to do so even more once their time in service has ended. In this post we will look at some of the reasons why Marines stick together in more detail. It has been said by an unknown source that, "... we are the unwanted, doing the unthinkable for the ungrateful. Doing so much for so long with so little, we are now qualified to do anything with nothing". When a Marine makes that last walk into the Admin section of his/her unit to receive the infamous DD-214, the realization that there is no turning back hits them in the face. Some are eager for the challenge, and others, not so much. Either way you either take the leap or you don’t. Whatever you decide will start the precedence for how your new ‘Civilian career’ is going to go. Let’s take a look at some of the reasons Marines stick together. Marines don’t have soft spots, but if they did it would definitely be for other Marines. While they are in the Corps, ‘tough love’ is what continues to carry the day, but in the end it is all about Mission Accomplishment. Being soft with each other isn’t what Marines are about. However, when it comes to Marine Veterans being out in the ‘real world’, dealing with civilians and seeing things ‘on the other side’ that goes against everything you were taught in the Corps, Marines sticking together takes on another face. In the Corps you have Marines from all walks of life, and experiences, coming together to accomplish the Mission. Race, Color, Creed, etc. has no place in a unit that favors doing their jobs to stay mission ready. The military in general is a perfect example of everyone getting along and not falling into the societal norms of racism, etc. It hasn’t always been the case, and yes there are some bad seed examples. As soon as you check into your first unit you quickly realize that you now have a Marine family that will have your back when need be. When you get so accustomed to living side by side with others whom you may never have interacted with before, you start to be more compassionate to the fact that there is more to the truth than what you have been fed leading up to that point in your life, from your small part of the world. A great example is a white Marine who never interacted with an African American before joining the military. I have personally led a few. Marines tend to be deployed on average 3-4 times during their military career. Some are stationed in combat zones and others are not. Regardless, you are able to see different cultures and experience a side of life that the majority of American citizens will never see. When you are deployed to combat zones it’s like being thrown into a virtual reality war movie, with the only exception being that this is life or death. The first time my platoon came under direct enemy fire in Iraq it was eye opening, even though you knew to expect it. But, the first time I had two Marines directly under my charge killed in action it changed my perspective on life. Those situations bring people together. Marines take care of their own. 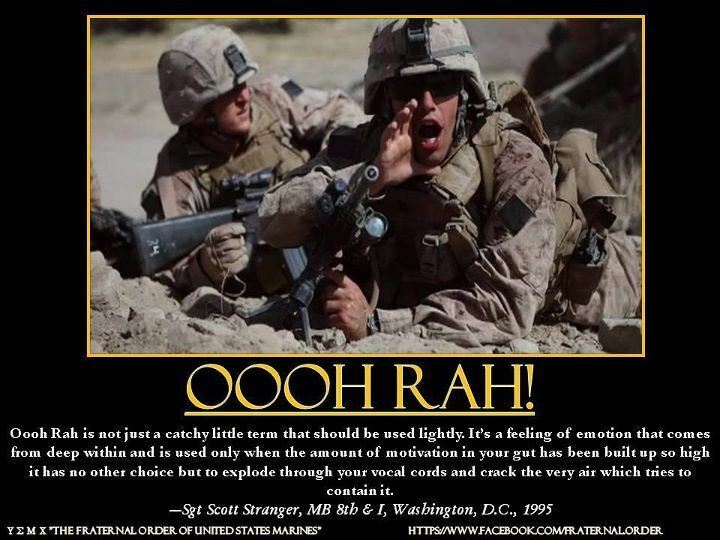 If a street brawl was happening around the corner and a Marine found out that some other Marines were in a bind, any Marine worth their salt would pick up the nearest weapon and head out the door. I’m not advocating violence, since at least one person has already thought it, but if you aren’t a Marine (or military veteran) you wouldn’t understand. On the same side of the coin, if a Marine was in a bind you could easily find another one quickly coming to his/her aid and doing whatever is necessary to fix the situation. Even if it may not be in the most legal sense. Piggy backing off of point four, because though they are one in the same, they’re not. If a Marine is in a tough spot and is homeless, just lost his job, can’t buy groceries, etc. a Marine is going to step up to the plate and at least figure out a solution. They may literally give you the shirt off their back or something else maybe not so figuratively. Now, you’re probably thinking; only five reasons why Marines stick together? Other websites I have seen have shown seven or ten. Great for them! Those same articles also were talking about why Veterans (in general) stick together. Yes, Veterans do stick together and these same five reasons would apply to other Veterans from the other branches of service, but the reason why there are only five is that these are the only ones that encompass the overall topic. Yes, reasons four and five are somewhat the same, making it four, but anyone with critical thinking and half a sense of knowledge of the Marine Corps would probably agree that this list covers the bases. Wrapping this present of information up for you in a nutshell, Marines need to seek out the company of others that can relate and make life a little easier at times. Especially if you’re the one in the brawl. 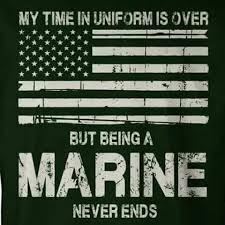 With that being said, I recommend that ALL Marine Veterans join their local Marine Corps League detachment. They are all over the country and all you need to do is conduct a little route recon (on the Googler) and ring their digits to get a little information. Look up the Marine Corps League website at www.mclnational.org. Semper Fidelis ‘Devil Dogs’!! What is a Blog anyways? A Blog is a website or web page on which an individual records opinions, links to other sites, etc. on a regular basis. A blog post is a "news article" that is published within the blog and blog posts are usually posted on a regular basis, blog dependent. Back in the day the online newsletter (hard copy, typically sent out in an email) was the way to go as organizations would ask their readers to subscribe to their content to receive continual updates. This allowed the organization to sneak in opportunities for sales pitches as they would be able to follow up again and again. Simply because the organizations were able to stay in touch, this was a dynamic way to get the most visibility with the least amount of money and work. Now days, those that survive off of newsletters are potentially missing out on a large portion of their subscribers. Why is this the case? In the past, publishing anything was a one way street. With today's technology our readers are able to respond back to us by leaving comments, sharing with their friends and linking to our content through their own blogs and websites. Thanks to social media it is easier than ever to grow by word of mouth. If your readers like what you publish they will share it with their friends and their social networks, sending you hundreds if not thousands of new visitors for every article you post. Now you can know instantly what your readers think of your content by the feedback that they provide. When a reader forwards an email newsletter onto a friend that typically exposes you to one person; however, when someone shares your content on social media it is spread throughout a larger audience enhancing your chances of a larger audience base. Here in the Ellis County Marine Corps League Detachment 1452, that's exactly what we are striving to do. We want to reach more people for our cause and bring potential partners on board to continue our mission into the future. This Blog is our way of the future and we need you to help us achieve this sustainable goal. Awareness is the number one thing that supporters of any organization needs in order to make a well thought out decision on whether or not to provide support. Nonprofits the world over struggle to stand out in the crowd and to get their voices heard amongst the chatter. A Blog post written by Mike McGrail at SproutSocial titled “5 Reasons Blogging is Absolutely Vital for Charities and Nonprofits” stated that “To be truly effective in social media, organizations need to be creating regular and relevant content that will engage with their audiences on a deeper level than tweets or Facebook updates. A blog is a great route to achieving this.” The 5 points in this post are: 1) A Blog Allows You to Add a Human Touch, 2) A Blog Allows You to Show the Effect of Your Work, 3) A Blog Allows You to Act Quickly, 4) A Blog Can Drive Donations and 5) A Blog Adds Value to Your Social Media Activities. It is no secret that social media is here to stay. A lot of the younger generations live off of social media while a lot of the older generations, not so much. A happy medium is the sweet spot that will deliver our news and information to those that wish to receive it. Blog posts (News articles) will be written and published to keep our audience in the loop and allowing them to be as involved with our mission as they want to be. Internal communications, between members of the Detachment, is the standard phone call, text, and email. This works well for where we stand now as a small nonprofit. External communications, to our audience primarily outside of the membership, will be via subscription to our mailing list through MailChimp. We will send email communications out that should continue to spark the interest of those wanting to know more about the Detachment. 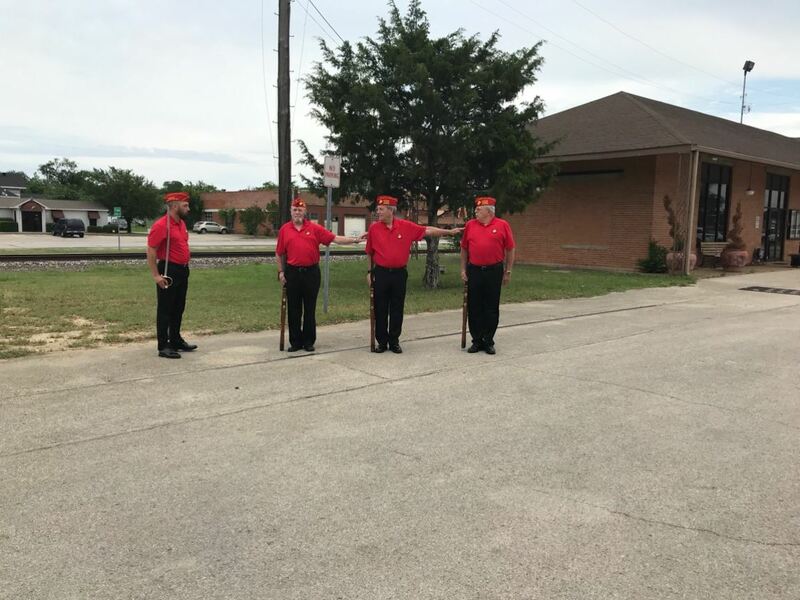 The Ellis County Detachment's Honor Guard participated in the Police Officers Memorial Service in Ferris, Texas on Tuesday, May 15, 2018 with our Firing Party. In the United States Peace Officers Memorial Day is held annually on May 15th in honor of federal, state and local officers killed or disabled in the line of duty. It is observed in conjunction with Police Week. The ceremony in Ferris was small and well put together. Many of the local residents came out to show their support for those that 'Serve and Protect' them. The city of Ferris has been conducting these ceremonies in honor of their fallen since 2004. The Chief of Police, and member of the Detachment, Eddie Salazar, did a wonderful job putting the program together which directly effected the outpouring of positive feedback and 'Thanks' by many of the attendees. We are nearing Memorial Day, when the Detachment's Honor Guard (Firing Party) will participate in Ennis' Memorial Day program at the Veterans Memorial on Memorial day, Monday, May 28, 2018 at 11:00 AM. The Police Officers Memorial in Ferris was a good time for the Firing Party to hone their skills as they prepare for the Memorial Day ceremony in Ennis, but also as they prepare to initiate the Detachment's Fallen Marine Program which contains Military Funeral Honors as well as other functions that show respect for our fellow brothers and sisters in arms who have passed away. 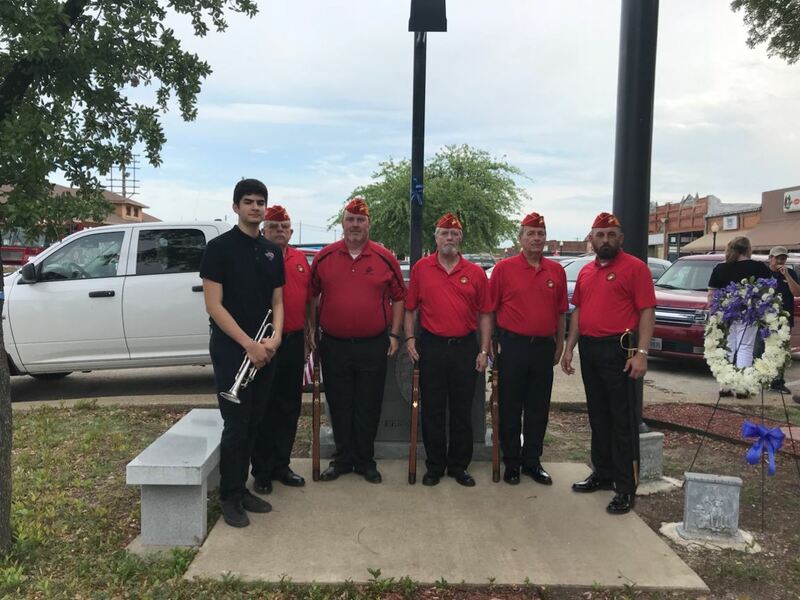 This was the first event that the Honor Guard has participated in and was a great start for a program that the Marine Corps League prides itself on accomplishing for our fellow Servicemen and women and Veterans of the local detachment's communities. 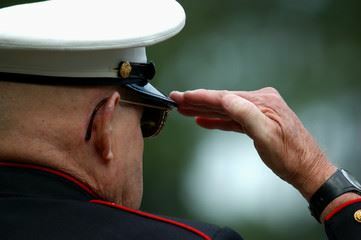 The Ellis County Detachment will perform Military Funeral Honors for any service member or Veteran free of charge for the Funeral Home and the Family. The family MUST request the service for the firing party to be able to fire the 3-round volley at the graveside funeral service. The family must also provide a copy of the Veterans DD-214 or Certificate of Discharge reflecting an Honorable discharge. A General discharge under Honorable conditions is acceptable. The Honor Guard will also provide a 3-round Volley (as provided to Veterans) to first responders when available. If there are any questions please contact the Honor Guard Commander, Robert Bell, at 360-808-0604. Last year, as we went through the process of formally creating this detachment we went through the additional growing pains, along with the rest of the Marine Corps League, of transitioning from a dues construct of a member renewing their membership a year from the time they joined, to every member having to renew at the same time. This was a difficult transition for most detachments, let a lone those of us who were forming as a detachment at the same time. This detachment has made huge strides in all areas, across the board. That has only been made possible by the hard work and dedication of members making that happen. Every member within this detachment should be proud of our accomplishments. DUES RENEWAL: On September 1, 2018 all MCL memberships will officially expire. That means that dues need to be received at the Detachment level in time to be processed up through the State (Department) level and sent on to National HQ in Stafford, Virginia. From the posting of this message, dues will be accepted by providing a check or cash to the Adjutant (Neal Ballance), the Paymaster (Robert Gillentine) or the Commandant (Robert Bell). Another option to pay online without having to hand payment off to anyone is to pay on the Detachment's Mobile Application (App). Click on the menu and click on the dues button. 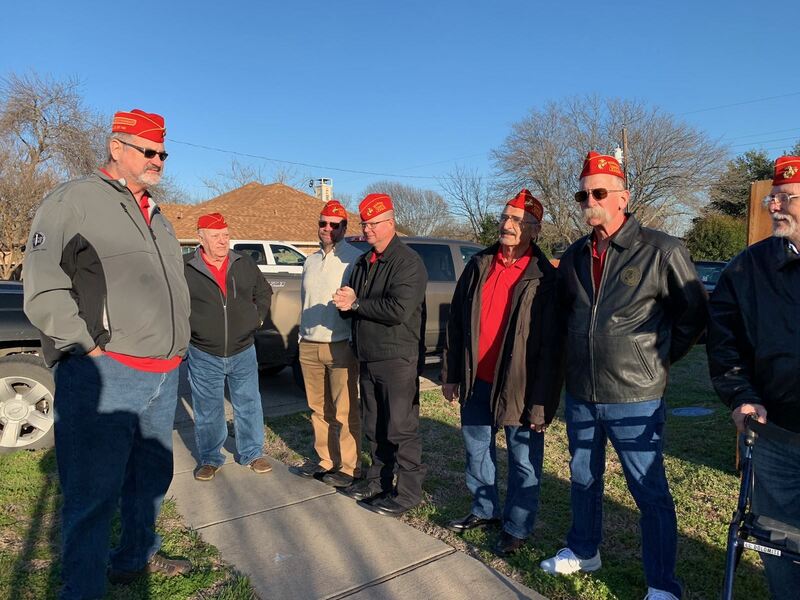 Thanks to Wild Apricot's online membership management software, the Marine Corps League Detachment 1452 in Ellis County, Texas (stationed in Ennis, Texas) is now able to have a public presence!! This allows our members and citizens of the local community to see what we are about and to have a steady link to our members, operations and events. As the Detachment Commandant, I feel that this addition to our detachment will dramatically enhance our effectiveness in 'taking care of our own' by accomplishing our mission and vision for the future. A few features that will streamline our nonprofit processes, saving us time and effort in the long run, are: a dedicated website focused on membership management, membership directory/account maintenance, member dues management, event management, financial management regarding dues and donations and email distribution, to name a few. Our focus is broad and our vision is directed toward enhancing the lives of our local Veterans and helping to improve our communities whenever we can. I strongly encourage use of this website and that you would take the time to look around, play around, and see what this website can offer. For a member more functionality is available than a public visitor. A great example of this would be the membership directory. It is built to not show members' names to non-members, but will show the entire roster to members of the detachment. Lastly, I encourage you to click the RSS feed button at the top of this page to subscribe to new posts to this Blog as well as any comments and reply's to comments that are posted here. You can also click the RSS feed button on specific Blog posts to get updates when something changes with it. I hope you enjoy the website and if you have any suggestions please email us at the Detachment email address: elliscountymarines@gmail.com. The Detachment can only accomplish our mission with support from kind and generous donors, such as yourself. Please consider supporting our cause.